Pets get dirty, just like humans. Pets who are active and spend a lot of time outdoors can get really dirty. Regardless of the extent of your pet’s dirtiness or their fur texture — thick or thin, long or short, curly or straight — there’s an experienced team of groomers at Complete Pet Care who can handle it. Finding great pet grooming in Raleigh, Wake Forest and the surrounding areas has never been easier. We also offer a pet spa at our Raleigh location, where your dogs and cats are treated like the kings and queens they are by our expert grooming team. Contact us today to discover how we can help with your pet grooming salon needs. If your pet is looking dirty and smelling a bit off, it’s probably time for a cleaning. It’s important to note that even if your pet doesn’t look dirty and stays indoors with you most of the time, regular grooming is important for their health. Good cat or dog grooming habits start early. Our veterinarians at Complete Pet Care recommend making grooming a habit with your pet when they’re young to get them accustomed to it. By performing this grooming at home, you help your pet understand that they can trust people to touch and handle their feet, ears and skin. You also help them learn that the act of grooming, although it causes discomfort, does not pose any danger to them. When you teach your pets these lessons at home, their experience at a pet grooming salon will be easier for them to understand. Our grooming staff, which includes professionals who have groomed many different types of pets, can work with you to determine the best grooming methods and schedule for your individual pet. We consider your pet’s breed, age, lifestyle and any existing skin or fur conditions and find a grooming schedule that works for you and them. 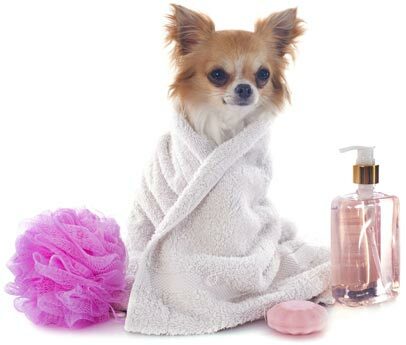 At Complete Pet Care, we offer spa services that include a warm bath and salon-grade shampoo. If you’re visiting our Raleigh location for another service, such as a physical exam or dental cleaning, you can treat your pet to a spa day while you’re there. One of our professional groomers can add this service that will help your dog or cat feel relaxed, refreshed and clean. 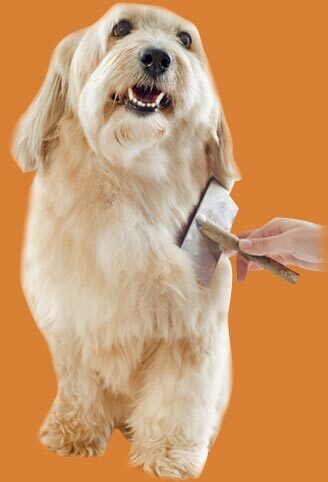 If your pet could benefit from a bath, haircut, nail trim or other grooming service, schedule an appointment today.